One of my favorite placemat patterns with a stunning runner to match! While some of my others are more versatile, I love the edginess this one brings to the table... ha... table... I'm hilarious. 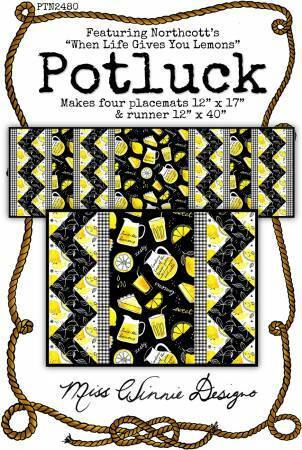 Makes four 12.5 x 17 placemats and one 12.5 x 39.5 runner.